BOURBON STREET ROCK & ROLL PARTY TICKETS ON SALE TODAY! 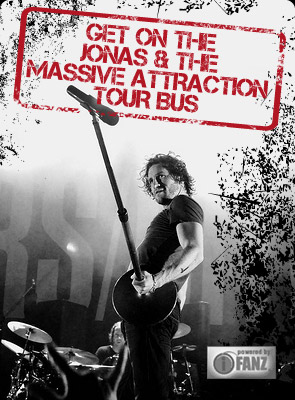 Hot on the heels of their European summer tour, Jonas & The Massive Attraction return home to Montreal to ROCK the BOURBON STREET CLUB in Ste-Adele, QC, with a full band ELECTRIC performance on Saturday, July 14, 2012 at 8:00 Pm. DON’T MISS “THE” ROCK & ROLL party of the summer! GET YOUR TICKETS NOW at BUY TICKETS or by calling 1-855-790-1245 and at all Admission outlets.